Step on over to the Wild Side. Put an animalistic style in your bedroom. Wild leopard looks great color tones. Each panel is fully lined to provide great insulation as well as sun protection to the fabric. 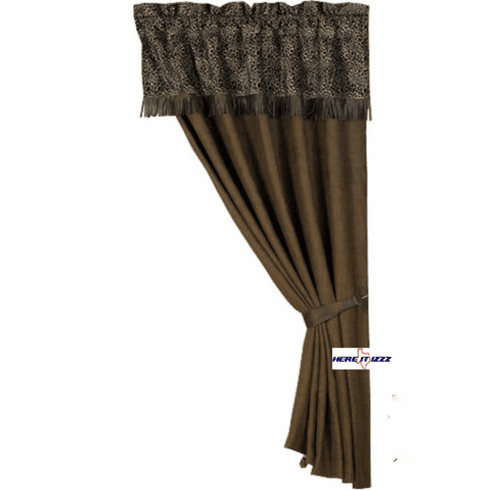 Gorgeous 18 inch Valance has professionally-designed leopard fabric.